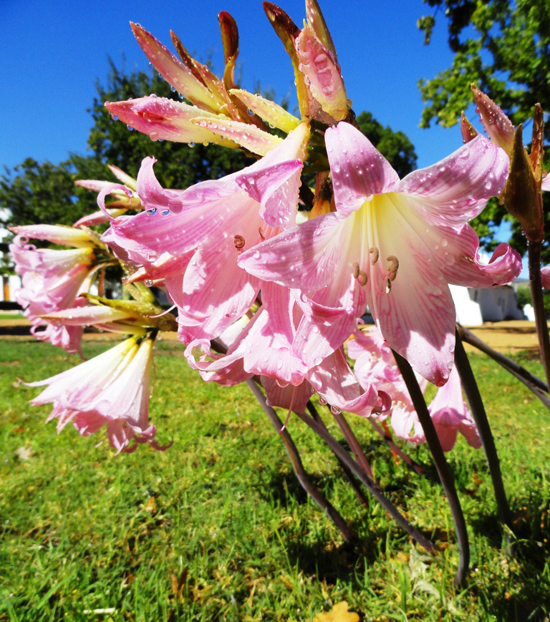 The appearance of the large pink trumpets of Amaryllis belladonna above the ground is nature’s signal that summer is changing to autumn. 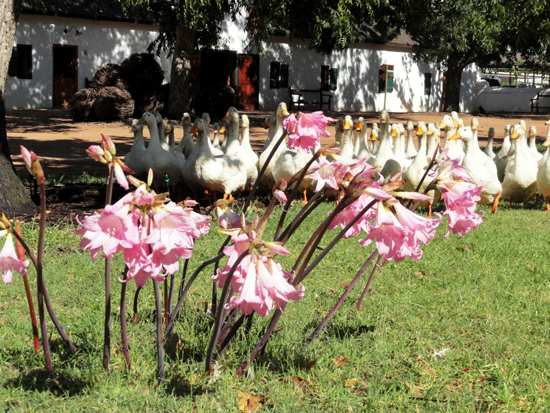 During the hot, dry summer months the lilies’ large bulbs are dormant underground, but now that the days as getting shorter and mornings cooler, they send up tall stalks with sweetly scented flowers in anticipation of the winter rains to come. It looks like our geese are full of anticipation for the rainy months, too!